If you are a fan of Caran d'Ache chances are you already own a 849 ballpoint pen. They have been extremely popular pens since the 1960s with good reason. Swiss made, hexagonal shape, and well made, the 849's have a great reputation. 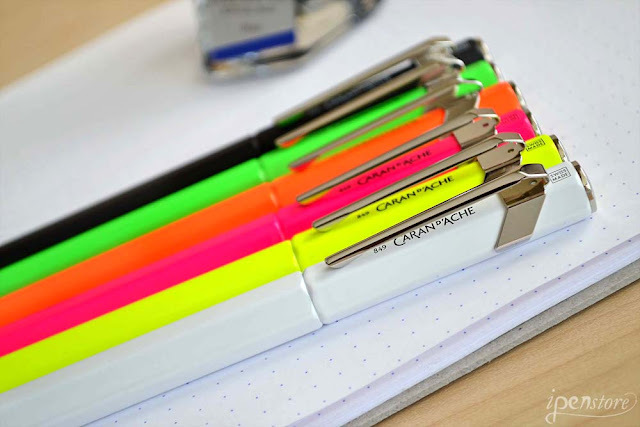 Caran d'Ache has expanded its popular 849 collection to now include a fountain pen. The Caran d'ache 849 fountain pen has the same hexagonal shape found on the emblematic collection. On the fountain pen the design has a streamlined linear design with a slight more rounding than found on the ballpoint version of the pen for a contemporary and causal look. 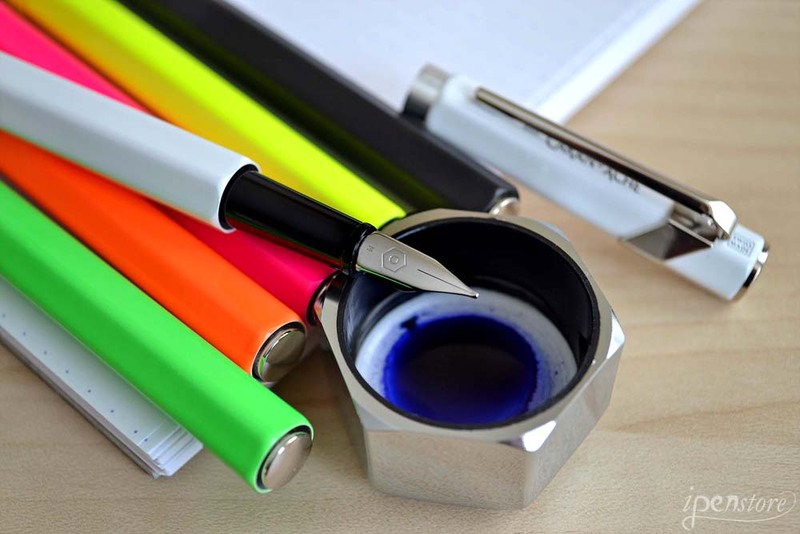 Each Caran d'ache 849 fountain pen is made of aluminum for a durable pen that resists impacts and lasts. 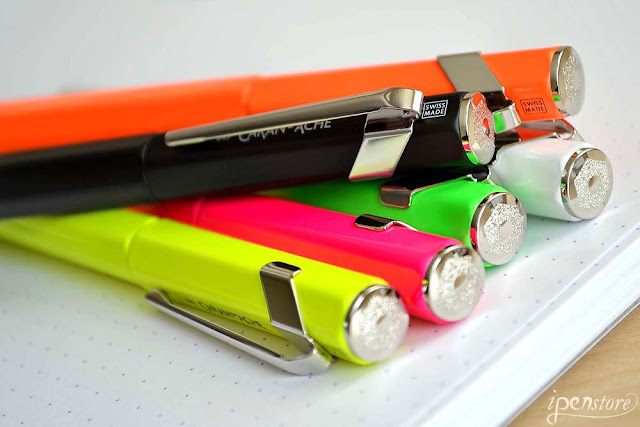 Fitted with a stainless steel nib and compatible with Chromatics cartridges, and standard international ink cartridge Available in a wide assortment of bright vibrant colors- neon pink, green, orange, and yellow, matte blue and black and white. So what do you think? Will the 849 fountain pens be as popular as their ballpoint pens? What color do you like best? Let us know in the comments below.